The Schools at Somerhill decided to bring forward the Bracken/Woodmansee fixture from 18th to 1st March this year. Unfortunately, this meant that it clashed with our own Brodie championships the following day. Having decided to pull the U9 teams out of the competition (they had already raced at Hilden Grange on the Tuesday! 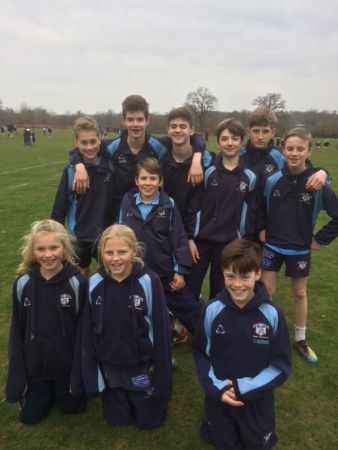 ), the children in the other age groups were given the option not to run on the Friday. This meant that just nine runners boarded the bus and headed over to Tonbridge. Mindful of the fact that two races in two days is not ideal, the children were advised to take it steady, which they duly did, putting in solid performances over the notoriously tough course. 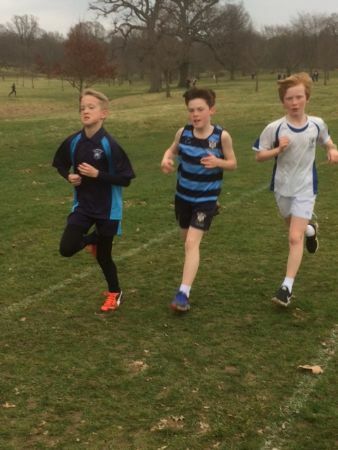 First off was Jacob J, our sole entry in the U11 Boys race. Slightly concerned that there was ‘no Max to chase’ (! ), Jacob nevertheless identified friends from outside SRS, using them to work steadily through the field, finishing well in 51st of the 81 runners. For the first time, the girls had to run the same distance as the boys, the 2.7km course comprising a long, challenging uphill stretch, an almost vertical climb of about 80m, and a final loop, which included another hill. Lotty C and Bea W started off together in the U13 Girls’ race, Lotty then telling her friend to ‘go on’, which Bea did, moving through the 34-strong field to finish fourteenth. Lotty ran at a good steady pace, crossing the line in 32nd. The U13 Boys packed well, albeit towards the rear of the field, maintaining an even pace and conserving as much energy as possible!! Leading the team home was Jasper S (39th), with Ellison VR right behind him (40th). Charlie E (43rd), Archie W (45th), Max R (46th) and Charlie M (58th) completed the six-to-score team which finished fifth overall. Jamie P ran well to cross the line in 61st. 80 runners finished the race. Well done boys and girls and thank you for representing the school. And you all did brilliantly at The Brodie too!